There are no icons yet, but enkithan promised to create some, thanks ;). It’s currently not yet possible to extract the curves as data and i still have to port the current krita curve (some kind of function curve made by Dmitry Kazakov) to this new widget and integrate it in Krita. I was told, that Dmitry has created an extendible api. If i can reuse that, it would be possible to replace all widgets at once, which in turn would mean, that the new curve could appear in Krita 2.3. Unfortunately i broke my ankle last week, while climbing in Croatia, and i have to undergo a surgery next Thursday or Friday, so maybe i won’t be able to code in the next week. My last blog was long ago. I know, this is bad, i should blog every week, but well i didn’t really had interesting news. I was doing very much small changes, tweaks, bug fixes, layouting code and much more. 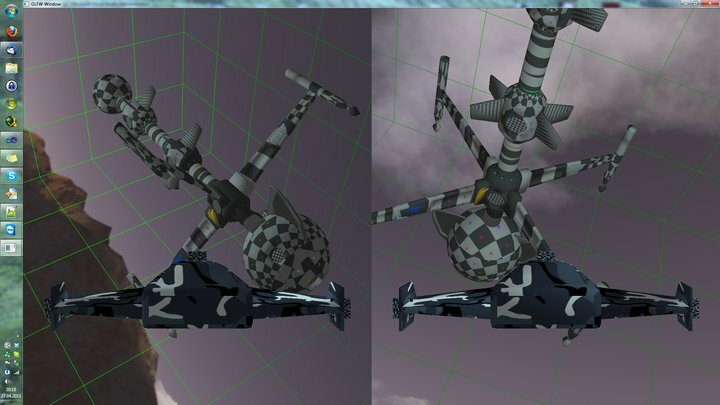 The last bigger addition was the minimal shade selector, I will talk about it in a few lines. 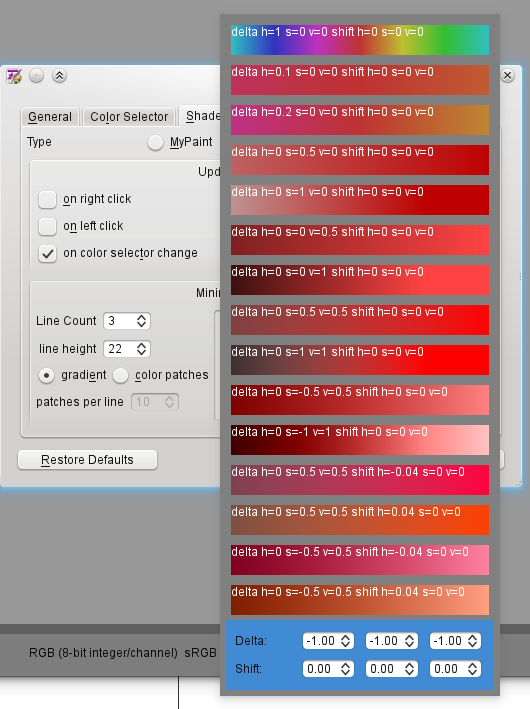 But first here is a small summary, of what i was doing since the last blog post: I’ve connect the colour selectors to the resource manager, made the settings save to kritarc, added a tab in krita preferences (thanks Boud for the new registry, that was needed for that), added a colour history, moved the settings button to a more space efficient place, implemented drag and drop for colours, shortcuts for quick access and an api for setting a colour. The last point was actually much more difficult, than it sounds, because of the way, the selectors work with colour spaces. 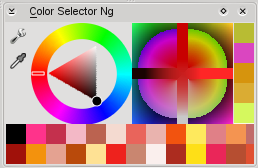 The selector has to search for the colour, that generates the user visible colour by using the colour spaces. Here is an attempt to explain it graphically. It’s the bottom part with the gradients / patches. Here is the configuration dialog. And the combo box for selecting the gradients. 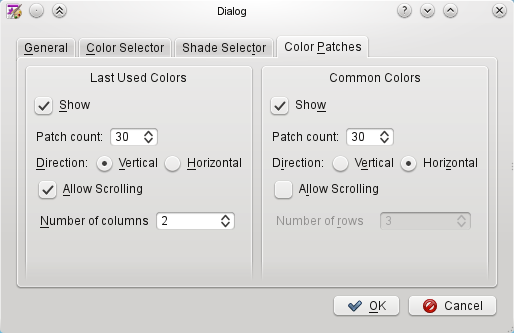 You can select one of the predefined gradients or configure one in the highlighted area. 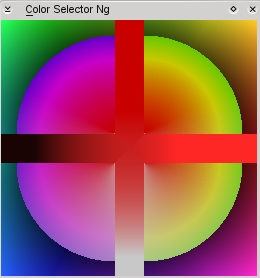 One of my goals in my project was to create a colour selector, which has many features but uses little space. 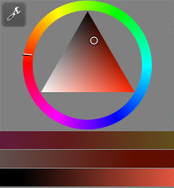 However it’s hard to select a colour, if the chooser is small, because 1. it’s small and 2. a small chooser with view pixels cannot show all colours. I approached this from two sides: a space efficient and configurable layout, so that the user can select whichever size fits him best and an optional zoom, so that the user can make the widget small and yet simply make the chooser bigger, if he needs it. The colour patches below the selectors represent common colours from the image and on the right there will be a history of last used colours.. So here are some screenshots, on how it looks like currently. and finally a page from the settings window. 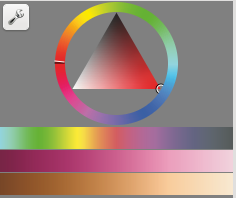 Not all of the settings are connected already, the colour selector (triangle in the images) is just a dummy and the whole thing is not connected to the painting colour. But I hope to get some comments on the layouting, maybe some more ideas and so on. I’ve just enabled building of this plugin in trunk, if you want to test it, you probably also have to enable this docker in settings menu -> dockers -> Color Selector Ng. 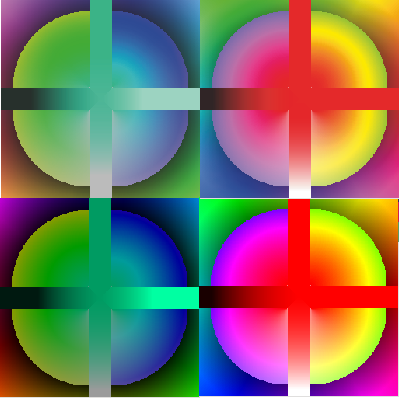 The algorithm is a slightly modified version of median cut and it is quite the same as the one used in JFIF jpeg library for reducing colours and indexing images. There is a quite good and easy to understand paper from leptonica on this topic. Thanks to pippin for guiding me to median cut 😉 . 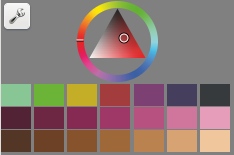 Also, Pigment is not yet used, which is important to support colour spaces properly. 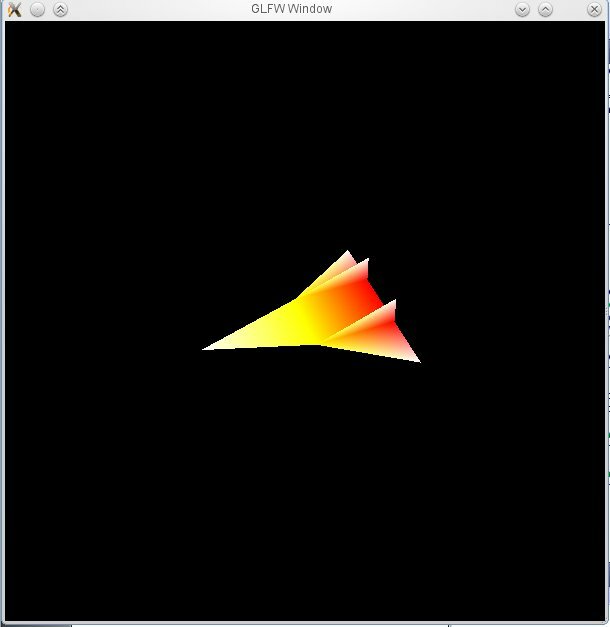 Anyway, the next step will be to implement all widgets with dummy graphics, so Pigment and connection must wait. 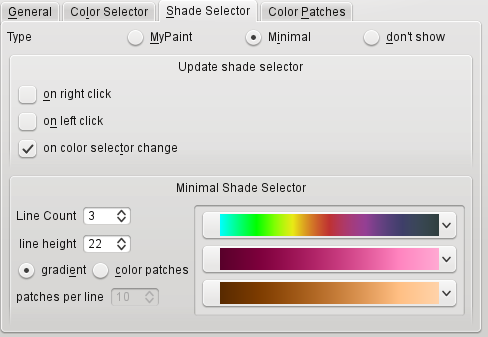 The title of my project is “New Colour Choosers for Krita and Karbon”. This sounds like an easy task – maybe it is, but it’s much work nevertheless. I won’t deliver only ordinary colour choosers, they will support colour spaces, various types (see here), harmonic colours, shades of current colours, shades of the current image and zoom for an accurate selection. If you are interested, here you can download the application for GSoC (including some mockups). 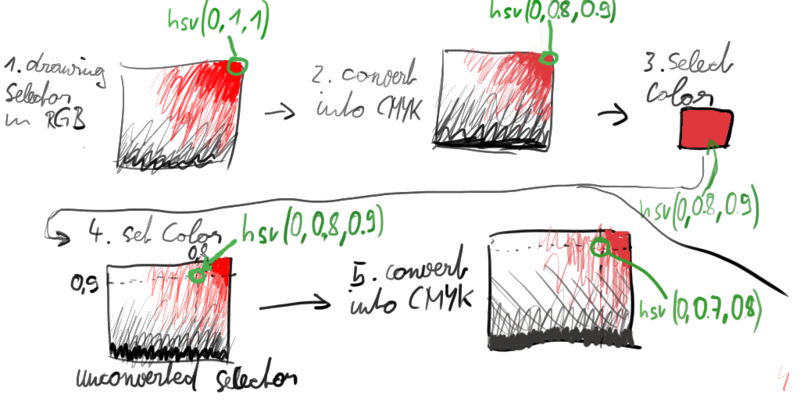 According to the time line the first task is to “Outline algorithms for drawing selector, computing shades and common colours”. 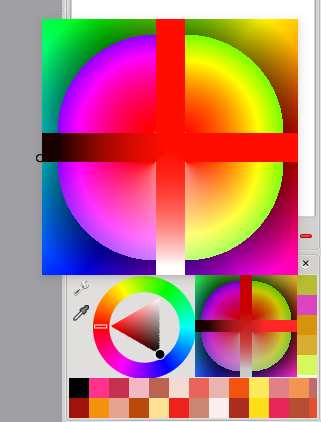 To do this i will look at the existing selector of Krita and at MyPaint. Probably computing common colours will be the most interesting and most challenging part of this. I just started blogging, juchee..